The Lenovo A2016 smartphone was released on the verge of 2017. It is the last device that Lenovo Company produced in 2016. This device is just like many of the previous Lenovo entry level smartphone. The only difference is the operation system where the Lenovo A2016 runs on Android 6.0 Marshmallow. The body of Lenovo A2016 is made of a polycarbonate materail. It has a thickness of 8.5 mm that gives it a sleek appearance. 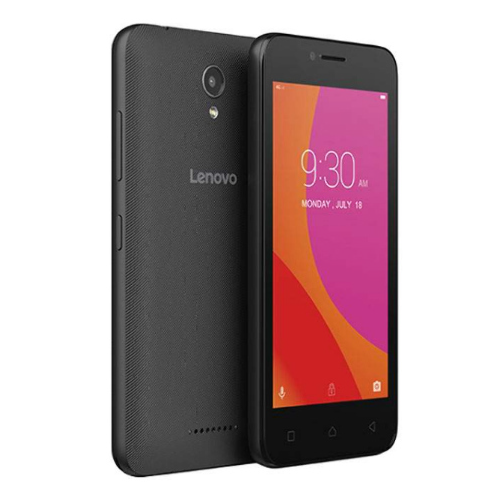 Lenovo A2016 weighs 147 grams. This is an ideal weight and is easy to slide in the pockets and walk around with it without any feeling of bulkiness. The device also rests very well on the hands and its small size make it simple to use even with one hand. It has a 4.5 inch display that is pixelled at 854 X 480. This is a small resolution but for the small device it is perfect as still it is available at a low cost. If one needs a higher resolution, one may need to spend some extra coins to purchase a high level or a flagship device. The screen is LCD and supports multi-touch. When it comes to storage, the Lenovo A2016 has a 8GB which may not be enough at the current technological era. Everyone wants to have a device with a large storage. The storage capacity is one of the main features many people look upon when choosing a device to buy. However, the space can be expanded using a microSD card maxed at 32 GB. Performance wise, the device comes with Android 6.0 Marshallow as earlier stated. It is powered by quad-core processor clocked at 1.3 GHz. It also comes loaded with a Mali GPU that ensures smooth operations, perfect game play and high frame rates. The 1 GB RAM handles multitasking with ease. One can run multiple apps at the same time without any difficulties. The 5 MP rear camera comes with a flash that is very bright to help you operate in dim conditions.It is also loaded with some features for your ease of use and perfection in taking images. The 2 MP front camera also has a flash which still takes nice images. The two cameras can be used to record videos which play on the device with much fluidity. The Lenovo A2016 is powered by a 2000 mAh battery. Moderate usage can give you a whole day stand-by time. The 4.5 inch consumes less power and the processor is just efficient. It can give you a total of not less that 11 hours of talk time.